The radical Turing GPUs inside the GeForce RTX 2080 and 2080 Ti may be built for the future, but Nvidia’s still tossing some mighty delicious bones to old-school graphics enthusiasts who want to push their hardware to the limit. A powerful auto-overclocking tool dubbed “Nvidia Scanner” will hit the streets with the GeForce RTX 20-series GPUs. 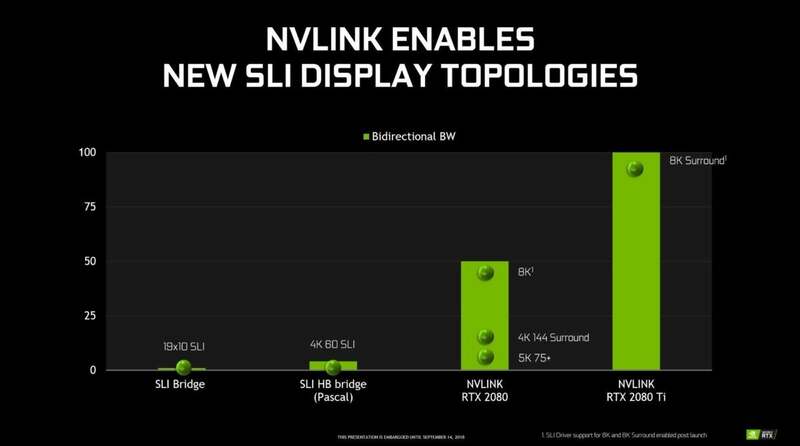 The new graphics cards also support a new NVLink SLI connection that brings a tremendous bandwidth boost to multi-GPU setups. Nvidia Scanner isn’t actually a tool you can download. Instead, it’s an API that developers can implement, similar to how current GeForce overclocking software relies on Nvidia’s NVAPI. Tom Peterson, Nvidia’s director of technical marketing, says all of the major overclocking programs will implement Scanner. 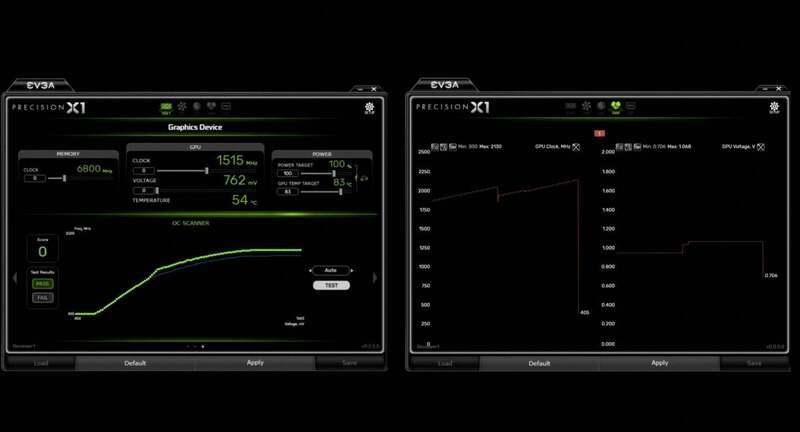 EVGA’s Jacob Freeman confirmed to me that its new Precision X1 software with Nvidia Scanner will be available when the RTX 20-series launches on September 20. Scanner leans on Nvidia’s deep data-driven knowledge of how its GPUs perform to push your overclock as far as possible, and aims to eliminate the “small speed increase, test, repeat” tedium of traditional overclocking. You simply press the Test button, and the software starts walking through your graphics card’s volt frequency curve, running arithmetic tests all the while. If the overclock starts pushing too far, Nvidia Scanner will discover a math error before your card crashes. When that happens, Scanner ramps up your card’s voltage and starts testing again. After about 20 minutes, Scanner will have a complete understanding of your RTX card’s capabilities, and automatically generate an overclocking profile built to squeeze as much performance as possible out of it without crashing. Easy-peasy. In a demonstration with Precision X1, Nvidia’s Tom Peterson showed Nvidia Scanner pushing the GeForce RTX 2080—which ships with a 1,710MHz boost clock—all the way to 2,130MHz at 1,068mV. The GTX 10-series graphics cards were famous for being overclocking champs, but few managed to crack 2,100MHz. Good news: Peterson expects the GeForce RTX 20-series to hit higher maximum overclock speeds than its predecessor, and Nvidia Scanner can help you make the most of that improvement. It won’t help you overclock your memory, though. While Nvidia’s trying to bring Scanner support to as many GPUs as possible, it will play nice only with GeForce RTX graphics cards out of the gate. Fear not: Nvidia Scanner is an addition to all previously available overclocking tools. The overclocking methods you know and love will still be available. Systems with multiple GPUs aren’t very common these days, and a lot of games refuse to support more than one graphics card. But if you want to max out those glorious 4K, 144Hz G-Sync HDR monitors, you’ll need to turn to SLI. When you’re pushing that many pixels, though, Nvidia’s existing SLI bridge just can’t cut it. Enter NVLink. The very high-speed NVLink interconnect previously appeared in very high-cost data center GPUs, but the GeForce RTX NVLink Bridge (pictured at top) will only set you back $80 for the two-slot version. You’ll also find three- and four-way bridges available to preorder on Nvidia’s RTX 2080 and RTX 2080 Ti pages, but don’t bother with them if you’re a gamer. Tom Peterson says gaming SLI support will max out at two RTX graphics cards, just like the GTX 10-series. 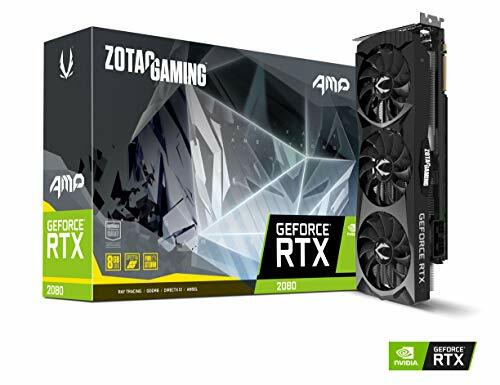 The GeForce RTX 2080 and RTX 2080 Ti hit the streets on September 20, and several custom RTX graphics cards are already available to preorder.